The World Famous Agrodome is a must see for any visitor to Rotorua and New Zealand. 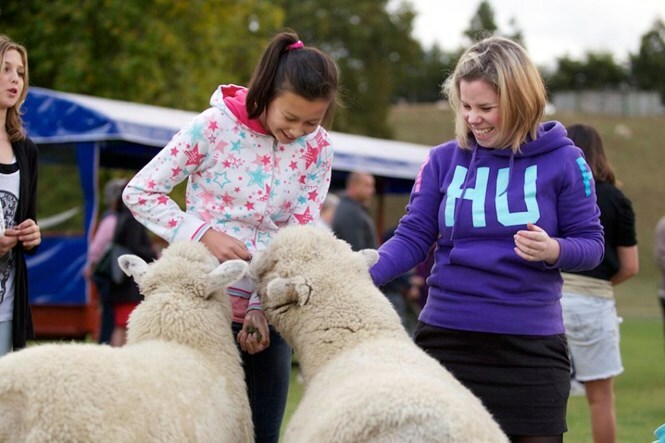 Home to the multi award winning Agrodome show – an exciting and informative insight into the world of New Zealand agriculture. 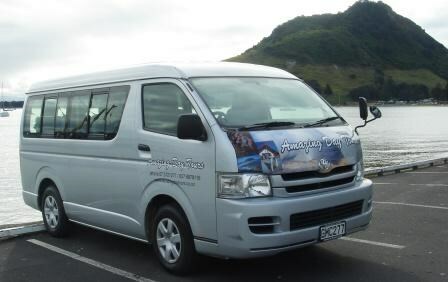 This fixed itinerary is the most popular tour for visitors to our region and packs in the best highlights for a cruise ship shore excursion to Tauranga and Rotorua 2/ The second vehicle can be used to customize your own tour of the region. Ball Busters is about more than just golf. 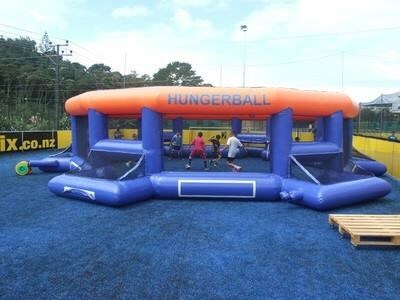 We offer a range of activities that are suitable for all ages and ranges of abilities ( unless otherwise specified ). Violent and unexpected, the volcanic eruption of Mt Tarawera in June 10 1886 was one of New Zealand's greatest natural disasters. Forget every preconception you’ve ever attached to the word ‘adventure’ and step into a zone where each one of your natural receptors will compete to process experiences you’ll relive for days to come. 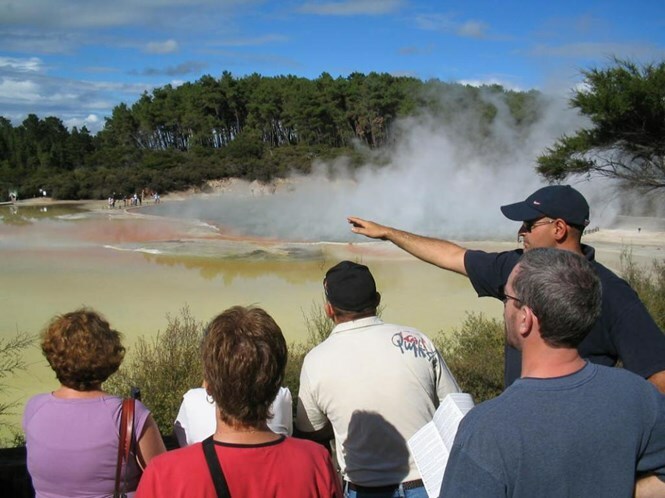 We are an award winning, fully licenced tour guiding service based out of Rotorua. Our company has been operating now for over 15 years and our local guides have many years of experience guiding international visitors around our unique environment. 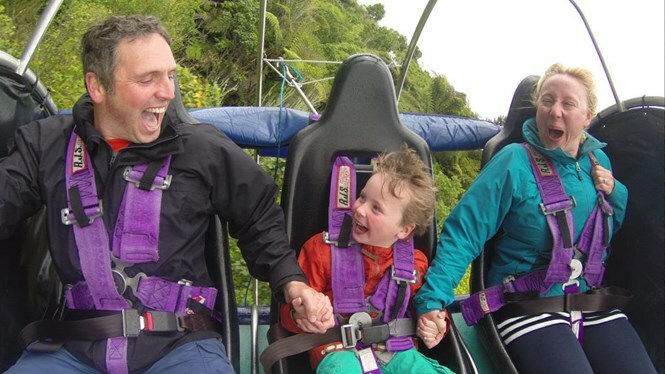 Fiik Action Adventures is Rotorua's premier adventure park offering an array of activities for singles and families alike. 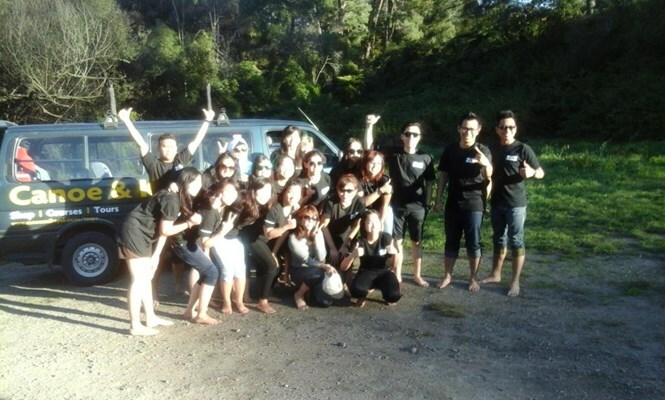 Grumpy's Transfers and Tours provide an efficient, friendly and cost-effective transport service in Rotorua. 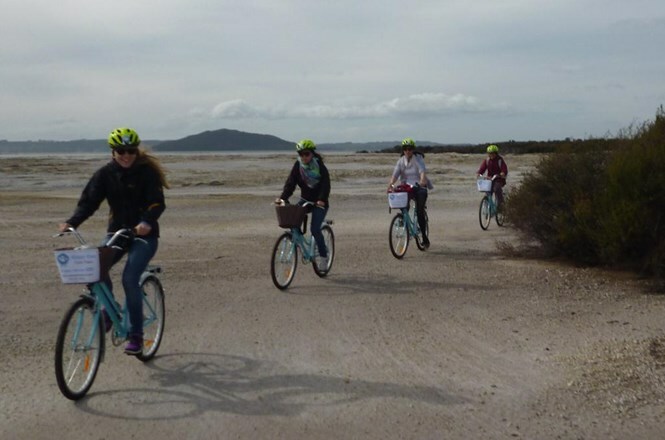 Happy Ewe Cycle Tours provide a guided bicycle adventure to 27 key historical, geothermal, historical and cultural sights in Rotorua. 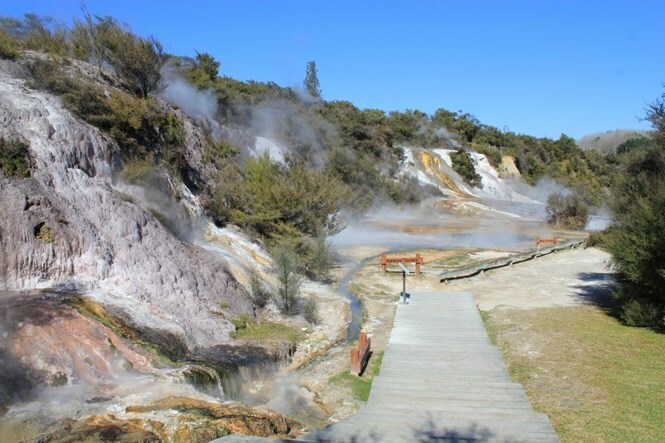 Hells Gate Geothermal Park & Mud Spa is Rotorua’s most active geothermal park only 20 minutes from central Rotorua, offering guided geothermal tours through an amazing landscape of steaming sulphur and boiling mud pools at 9.30am & 1.30pm daily. 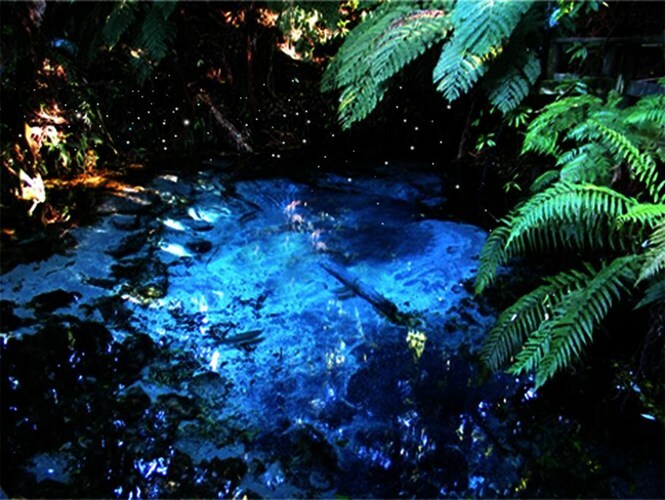 Our "Incredible Rotorua Combo" is one of the many experiences we offer as an exclusive and personal option. PREMIER TOUR - Incredible Rotorua Combo tour. 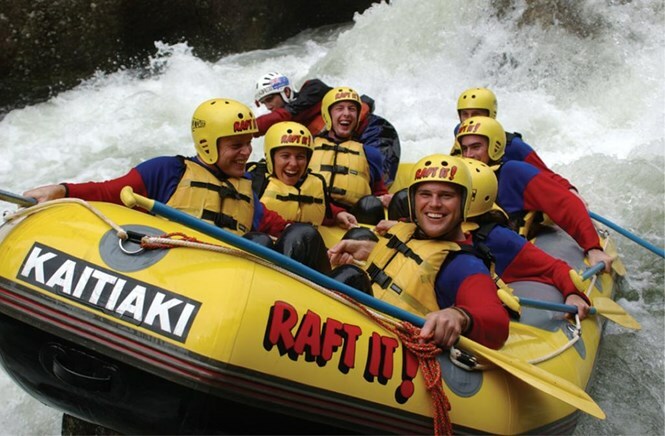 Kaitiaki Adventures is the Worlds only All Kiwi Rafting and Sledging Crew and has been operating in Rotorua for 13years. 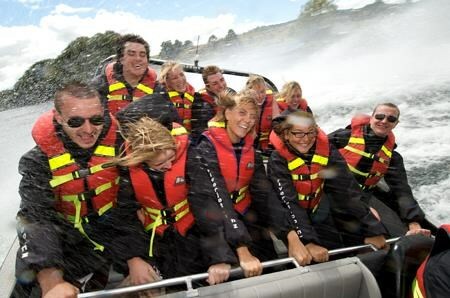 We specialise in whitewater rafting and hydrospeed/sledging down the amazing waterways surrounding Rotorua. 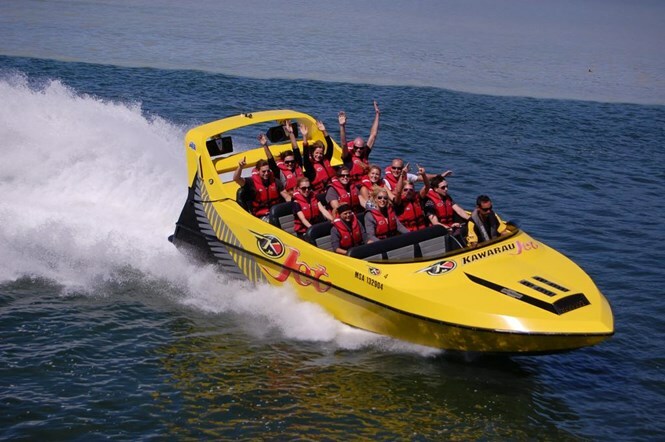 Experience the excitement and exhilaration of a Jet Boat Tour on Lake Rotorua with the world famous Kawarau Jet. V8 powered boats, skilled drivers and stunning scenery combine to provide one of the areas most popular adventure activities. The Koru Tours will be guided by René, an official Rotorua Museum Guide and PE Outdoor Guide, married to Marianne, born and bred in Rotorua. 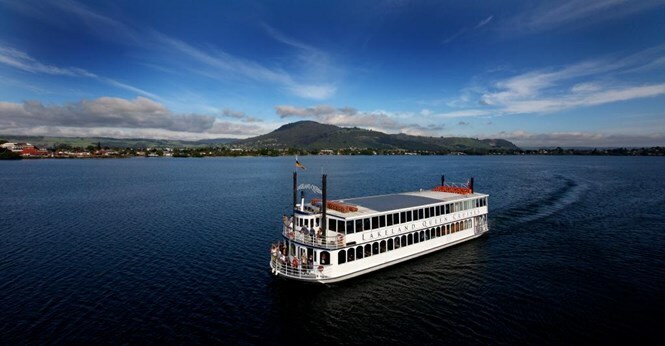 Enjoy a different look at Rotorua on-board the Lakeland Queen, the only stern wheel paddle boat and large cruising vessel operating on the iconic Lake Rotorua. We design our escorted tours specifically for small groups of up to 11 guests, which allows us to move about more flexibly and efficiently; enjoy more spontaneous encounters; and experience a degree of freedom and independence simply not available to travellers on conventional group tours of 20 or more. 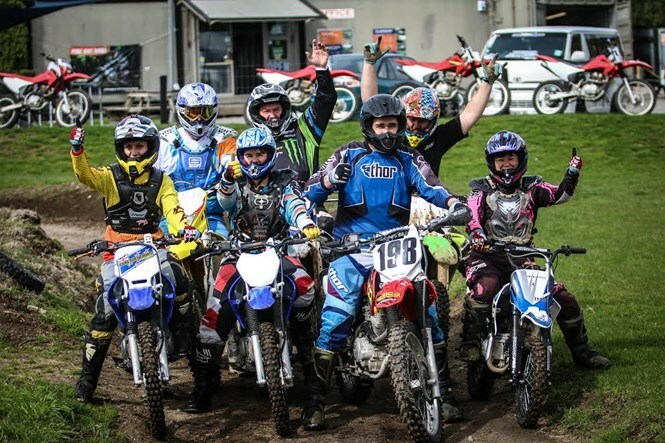 Established in 1992, Off Road NZ provides the best self drive off road vehicle experience of its type in New Zealand. There are thrills for men and women of all ages. Test your SPEED, SKILL, ACCURACY and NERVE. You will be surprised. 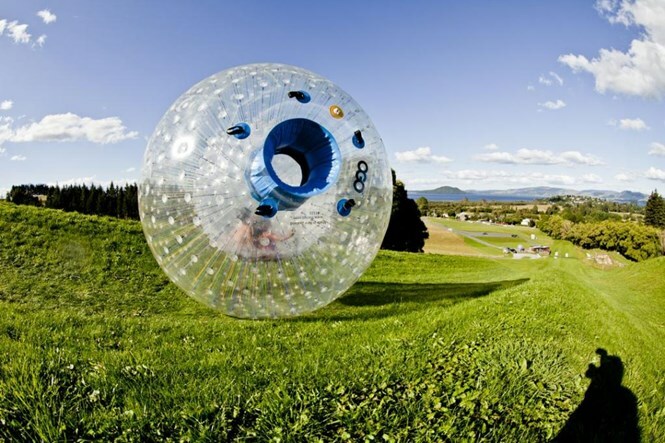 Superman dive into a giant inflatable ball and roll down Mt Ngongotaha with OGO Rotorua, where the fun will have you laughing uncontrollably. 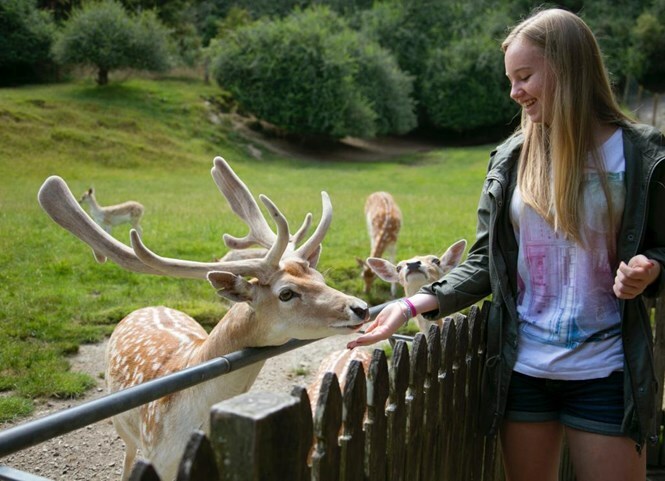 At Paradise Valley Springs visitors of all ages can interact closely with a range of New Zealand’s wild animals, native birds, farm animals and trout, as well as view and get up close to a large pride of African Lions. 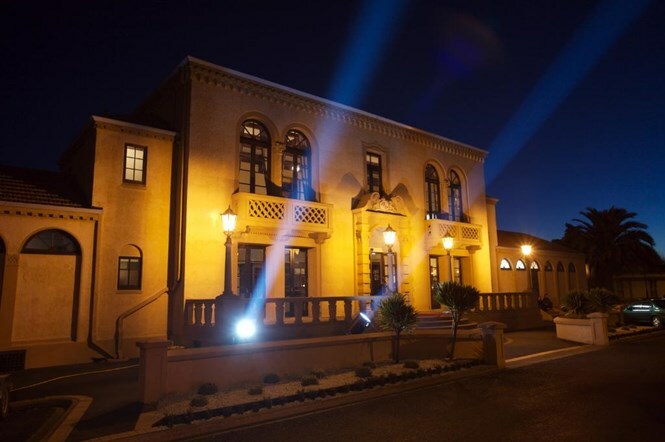 New Zealand's leading international day spa provides visitors with a unique thermal spa experience on the shore of Lake Rotorua. The perfect way to take time out to relax and unwind after a day of sights and activities! 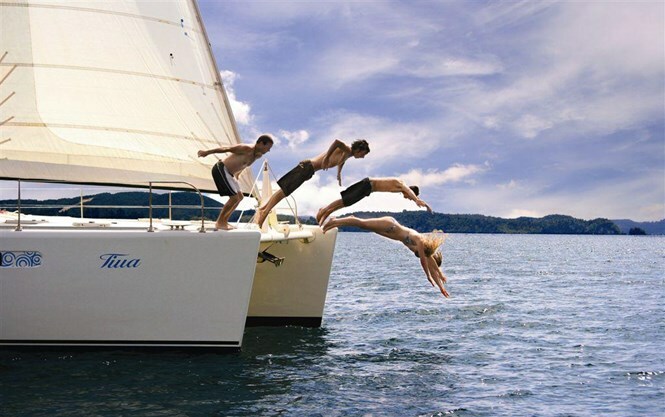 Pure Cruise offer an unequalled, off the beaten track eco-adventure out on the water. Discover the sparkling waters, secret bays and hidden coves of Rotorua's stunning Lake Rotoiti with Pure Cruise with an exclusive private charter or by sharing a scheduled daily sailing. Motorcycling off road is what we are all about. Whether you are looking to try dirt biking for the first time or are looking for a multi day adventure, we have a tour to suit you. 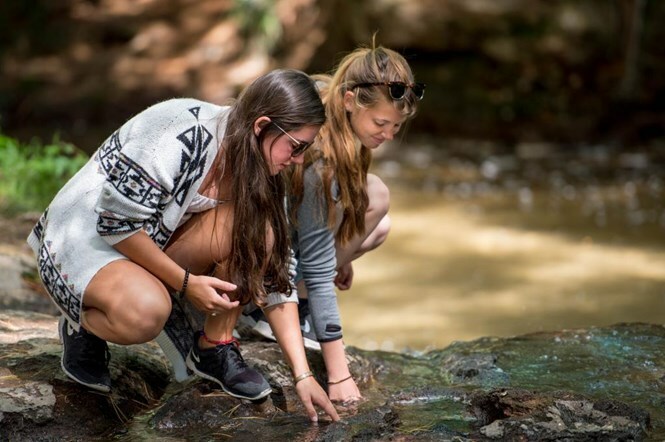 Whether you are walking through our many free flight aviaries, feeding the biggest wild trout you will ever see, watching the birds being fed or coming face to face with pre-history in the eyes of a Tuatara – all of us here at Rainbow Springs are proud of the role we play in conserving many of the precious native species of New Zealand. The difference about my tour is my passion to connect people with all the awesome places around the Rotorua region that i know and love. River Rats Raft and Kayak have been offering quality adventures for over 35 years. We pride ourselves on a safety first culture and our attention to detail. We offer small personal 2.5 hour guided Segway tours to some of the most iconic spots within the city limits of Rotorua. Our guide will lead you on the designated cycleways throughout the city, visiting Kuirau Park and it's bubbling mud pools and thermal activity. 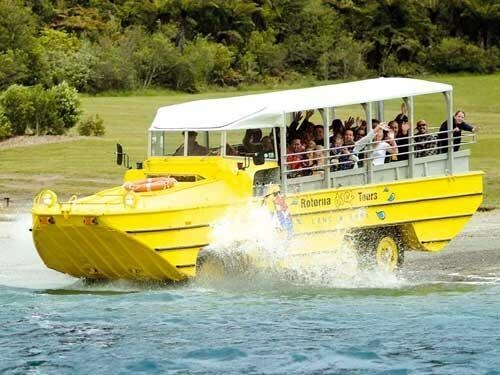 Rotorua Duck Tours has been providing amphibious sightseeing and history tours of Rotorua since 2003. With 16 magnificent lakes in the Rotorua region, there is no shortage of places to visit. 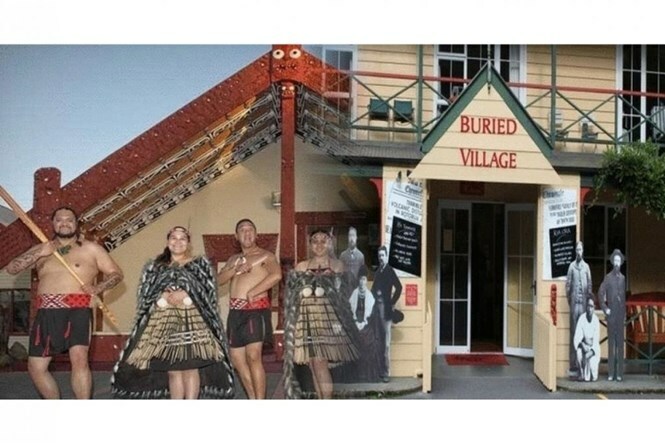 Discover Rotorua's rich culture, volatile landscape and legendary figures in this ‘must see' museum. 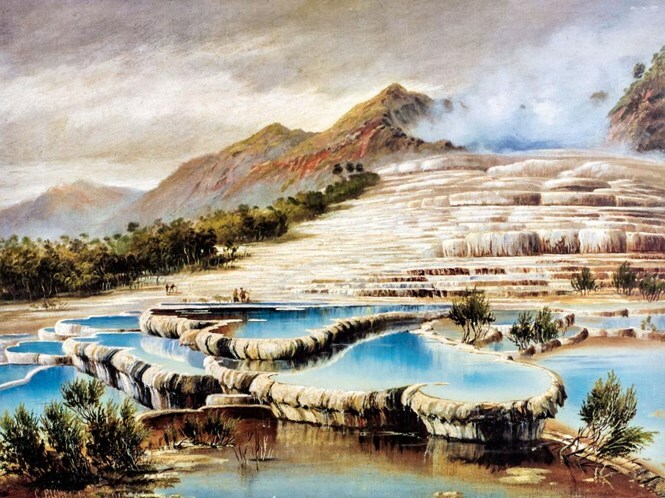 Innovative displays, changing art exhibitions, and cinema experiences bring the region's history to life: learn about the history of the Rotorua Spa. 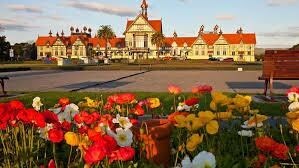 Rotorua, the hub of North Island tourism industry, is but an easy 3 hours drive south of Auckland. Well known for its geothermal activity with violent geysers, boiling mud pools, gentle hot springs, steaming cliffs and volcanoes, Rotorua is a must see locality. Welcome to Rotorua Trout Guide Limited. 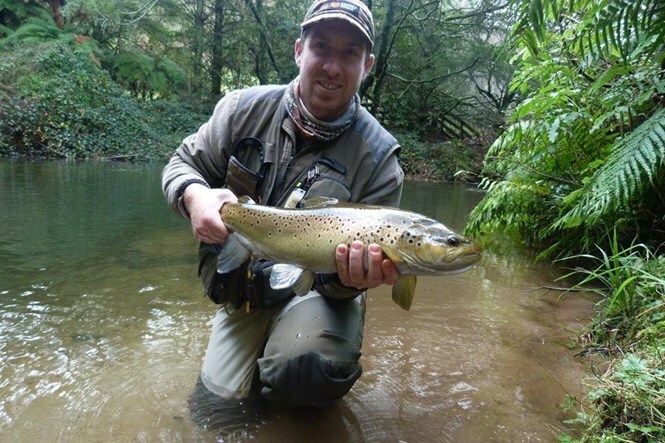 Based in the Rotorua / Bay of Plenty district we offer guiding fly fishing trips to the plentiful streams and lake systems we have in abundance throughout the region. 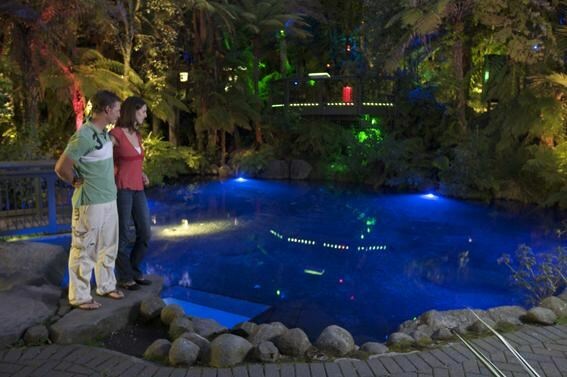 Famous for a reason, Skyline Rotorua is your ticket to an unforgettable holiday. 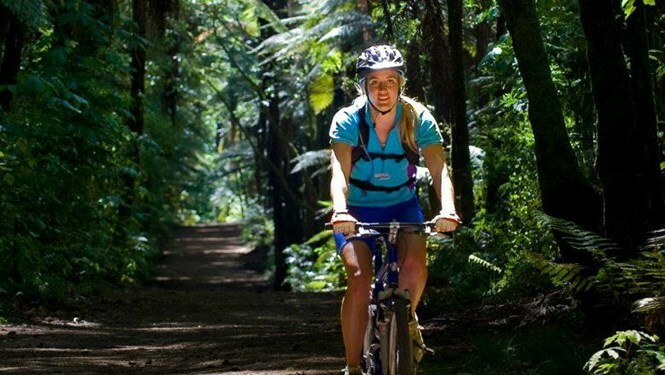 Begin your day with a tranquil Gondola ride up Mt Ngongotaha overlooking Lake Rotorua then wind your way down via the Luge or if you prefer to descend by mountain bike, weave your way through one of the newly created Gravity Park trails. You can walk an alpaca on a lead. 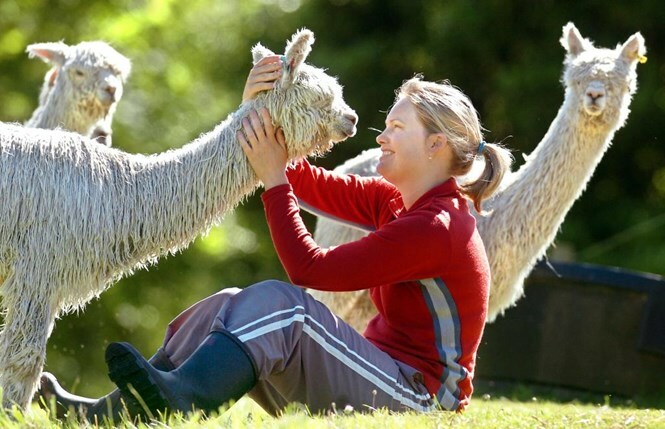 The Alpaca Farm Tour offers a display of products made from the alpacas fleece and a short talk introducing you to alpacas and explaining their environmental sustainability. 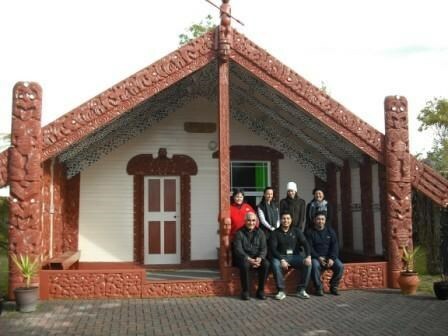 The award winning Tamaki Maori Village operates every evening, except Christmas Day, and offers two departures from the city in the winter months, and three most evenings in the summer months. 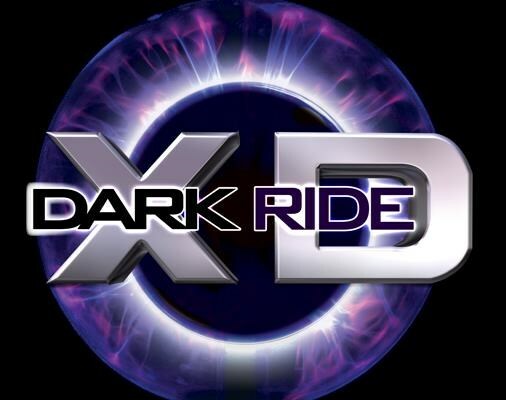 Rotorua's Most Iconic Visitor Attraction. 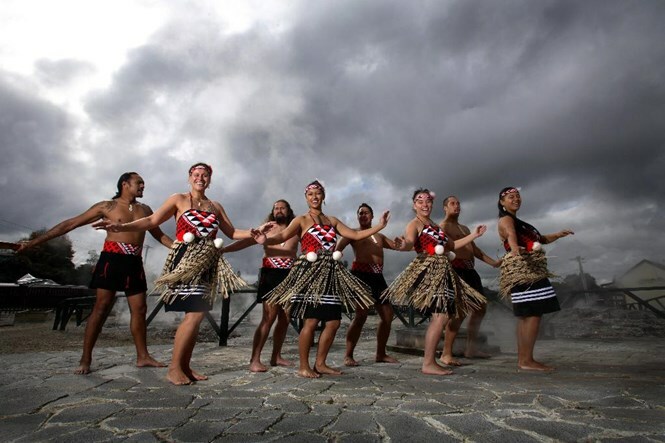 See Geysers, Kiwi's & Maori Culture - All in One place. 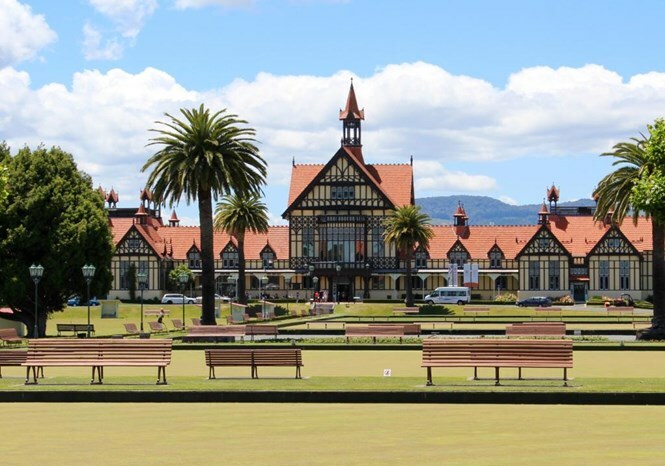 Magnificent heritage-listed art deco BathHouse located in Rotorua's heritage precinct, Government Gardens - adjacent to the tudor style Museum of Art and History. 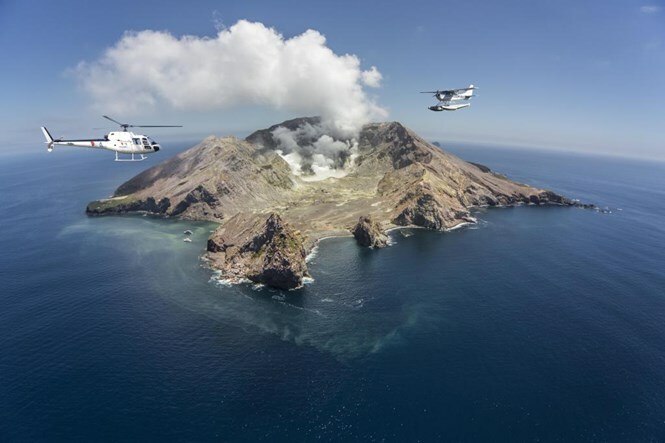 Rotorua's Volcanic Air Tour Specialists Volcanic Air is conveniently located at the Rotorua City Lakefront on the shores of Lake Rotorua. 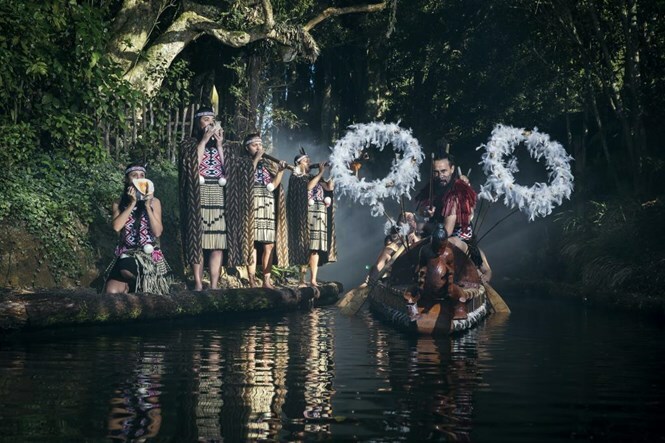 Set amidst a landscape of erupting geothermal activity, hot thermal springs and hot bubbling mud pools is the Living Maori village of Whakarewarewa situated in Rotorua, the heart of the North Island. We are a small owner/operated company offering you a private/personalized tour so you too can share our beautiful country which we are so proud of. 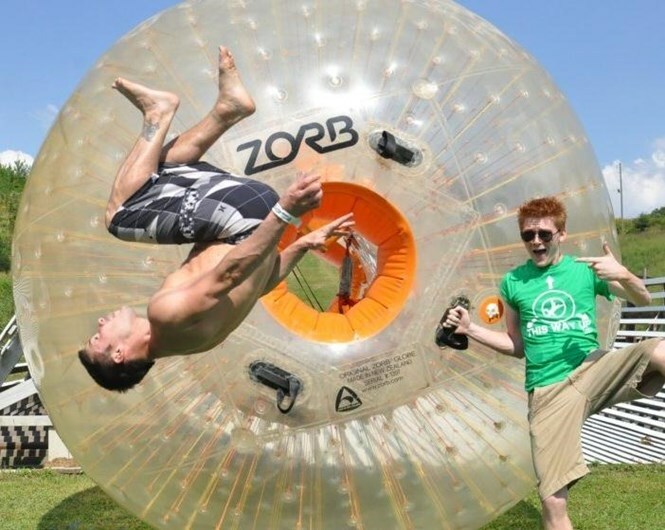 If you're on your New Zealand vacation, looking for a school holiday activity, or simply looking for things to do in New Zealand, ZORB® Rotorua is a must. 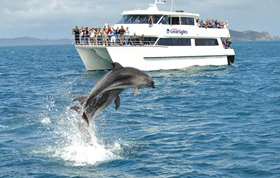 New Zealand's premier daily sightseeing operator, GreatSights New Zealand operates the most comprehensive range of daily sightseeing tours throughout the country. 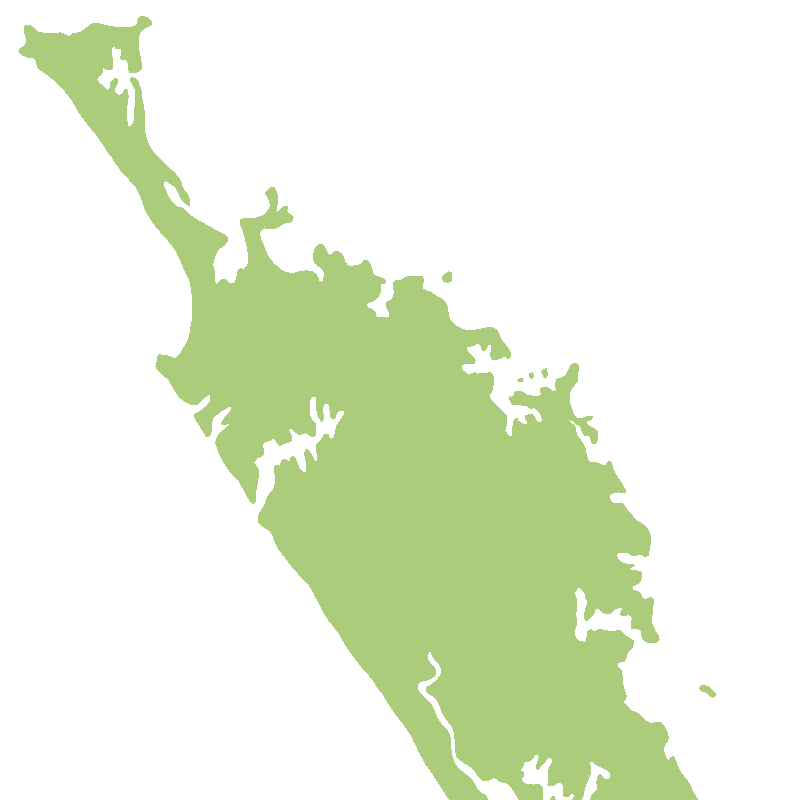 We are conveniently located between Taupo and Rotorua, only around 30 to 40 minutes drive from either location. Our jet boating base is on the corner of State Highway 5 and Tutukau Road (beside the Waikato River). 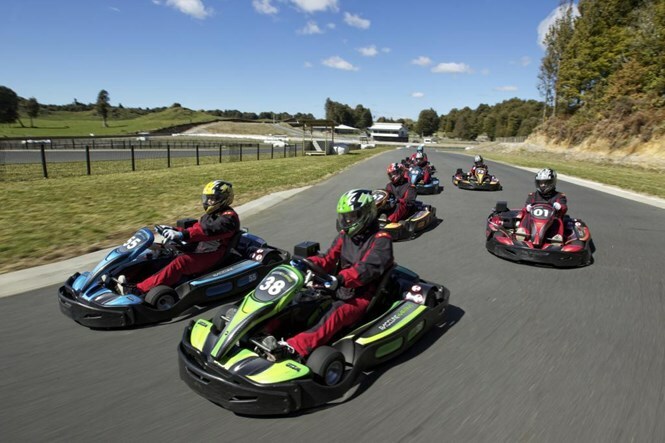 We are situated 44 kms from Rotorua and 34 kms from Taupo right on the Highway. Situated just 25 minutes north of Taupo and 45 minutes south of Rotorua nestled on the shores of Lake Ohakuri lies “ The Hidden Valley “ of Orakei Korako Cave and Thermal Park. Orakei Korako translated means “The Place of Adorning”. The Bay of Islands is a subtropical paradise known for its stunning beaches, water activities, beauty and history. The Bay of Islands is one of New Zealand's great holiday destinations. A three hour drive or 35 minute flight north of Auckland, the Bay of Islands encompasses 144 islands and is historically significant being where the first European settlers arrived in New Zealand. The Bay of Islands is a maritime adventure playground with an abundance of wildlife including penguins, dolphins, marlin, whales, gannets and more. Many of the islands here have walking tracks. 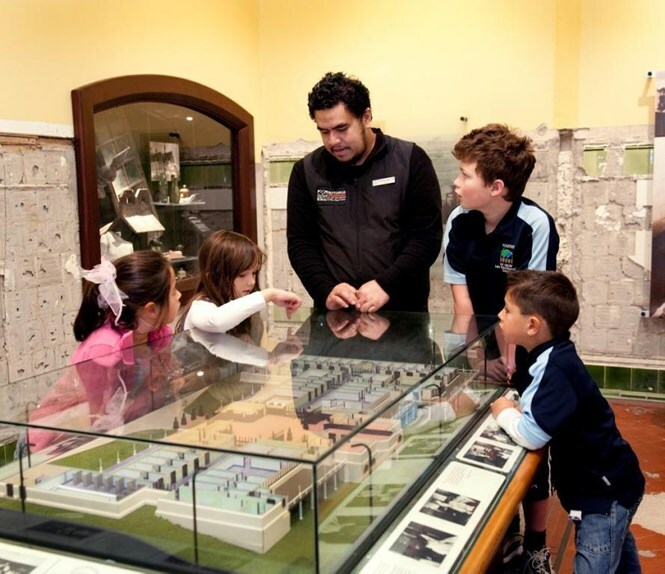 A choice of tour operators in the region offer excellent tours and trips around the area. There are many small towns throughout the Bay of Islands with great restaurants, bars, arts and crafts and entertainment.